Here's a notebook that's as smart as you! Keep track of your brainy ideas, take beautiful notes in psychology class, or start a bullet journal to organize your thoughts. 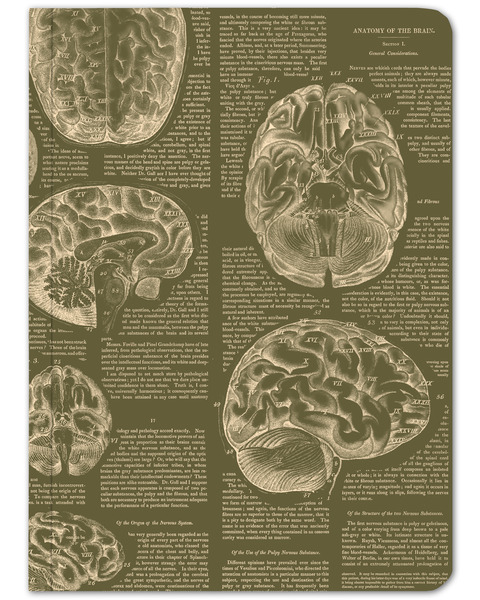 This Brain Anatomy Softcover notebook will make itself at home on your desk or in your backpack, everywhere you go.